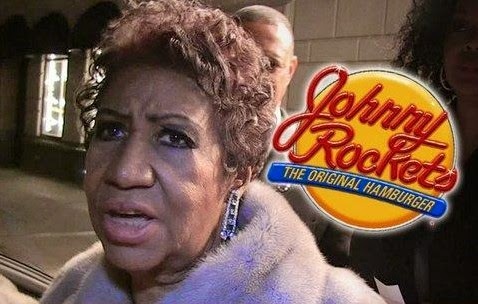 LEWISTON, N.Y. — Aretha Franklin has some harsh words for a New York server who showed D-I-S-R-E-S-P-E-C-T by telling the Queen of Soul she wasn’t allowed to eat her takeout inside the restaurant. A spokesman for Franklin says the situation unfolded Tuesday at a Johnny Rockets restaurant in Lewiston near Buffalo. Franklin says in a statement that the restaurant worker was “very rude, unprofessional and nasty.” A Johnny Rockets spokeswoman says the franchise owner is sorry for the actions of “a new and very young employee.” She says the owner has spoken with the employee and has clarified his takeout policies.